Southworth Sailor: Sun at last! sun at last!, a photo by Southworth Sailor on Flickr. After months of rain and cold, Esther and I are finally enjoying some 70 degree sunshine. However, we had to drive all the way to San Diego to find it. Northern California was cold so we kept going. 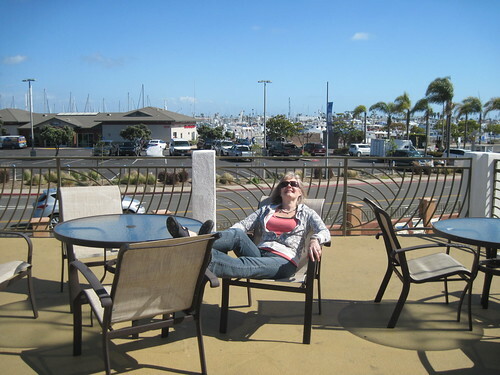 After spending most of last night driving with a little sleep at a rest area, we are enjoying a motel at Point Loma. We enjoyed the lighthouse park and Balboa Park and dinner in the Hillcrest district. We are looking forward to some time in the sunshine.